...then there's no reason you can't use them. 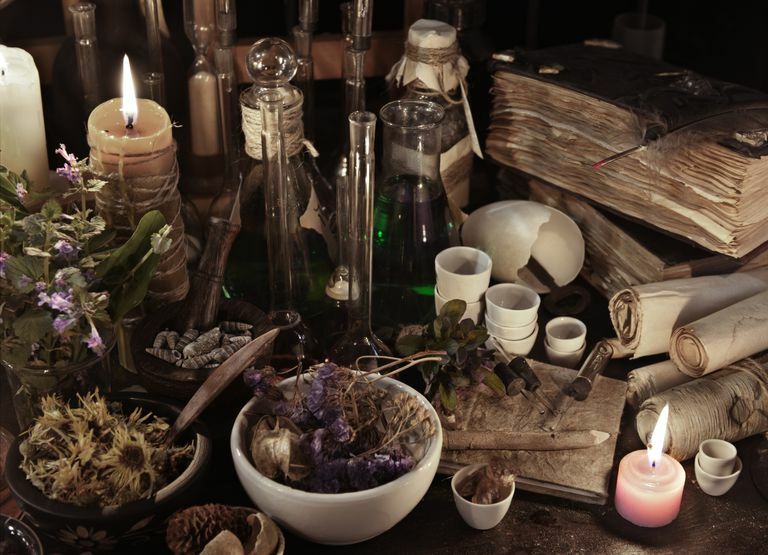 Let's look at why you might do this, as well as some of the different parts you might want to incorporate into rituals or spell work. Why Use Animal Parts in Ritual? Thousands of years ago, our ancestors performed rituals and ceremonies. They didn’t have tools ordered from an online catalog or purchased at the Local Wytchy Shoppe. They made do with what they had. For the ancients, many of their tools—both magical and mundane—came from the animal kingdom. Few things went to waste. Bones could be turned into anything from a knife to a sewing needle. An antler could be used as a weapon or a farming tool. A horse's bladder might become a pouch to carry herbs. Anything was usable. In some shamanic traditions, animal parts can be used to connect the practitioner to the animal. One might wear a necklace made of bear claws, a headdress of antlers, or use a fetish of bone and feathers. Some traditions still use these today. Someone wishing to celebrate fertility might use the antlers of a stag, for example. An individual hoping for transformation could perhaps powder a bit of snakeskin for use in a spell. A person who wants to develop their inspiration and creativity might use feathers in a working, and so forth. These are the items that animals discard on their own as part of the natural cycle. Snakes shed their skin regularly. Deer shed antlers after the fall mating season has ended, typically around January through April. A bird may lose feathers as it flies overhead. These are all items that drop on their own naturally, and there is nothing wrong with picking them up and using them. Do keep in mind that some states have regulations as to the collection of feathers from certain types of birds. Check with your state's regulatory agencies to determine if this is the case where you live. Animals die. It's part of the natural cycle of things. After they've died, sometimes you may find pieces of carcasses lying around. Bones, fur, and other parts can be gathered from an animal that has died on its own. If you happen to be a Pagan who hunts for food, you may wish to use some of the parts of the animal you've killed. This prevents waste and allows you to maintain some connection with the animal after death. If you are the one who has made the kill, be sure you have done so in a humane and ethical manner. Although in most modern Pagan traditions, it's never okay to kill an animal just to use its parts in ritual, there are a few belief systems in which the slaughter of the animal is part of the ritual process. Some shops, particularly in areas with a large population of practitioners of Santeria and other diasporic religions, are specifically regulated and licensed to sell animals for just this purpose. It's generally a good idea to offer some sort of thanks to the animal before using the item in ritual. As part of this process, you might want to cleanse or purify the object–you can use smudging, asperging, or any other method of ritually purifying the item. You can also consecrate it as you would any other magical tool.